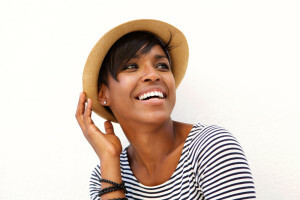 A beautiful smile, a better overall appearance, clearer speech, and the ability to chew properly: these are just a few of the benefits of having a full and fully functional set of teeth. However, sometimes due to accident or disease our teeth are missing or don’t function the way they should. Dental bridges are an effective and common procedure. Patients find it to be an affordable procedure with low-risk. Miami’s Dr. Andres (Andy) de Cardenas and his staff of caring, concerned professionals want you to know when you walk into their office no matter your condition they see you first as an individual. That’s why we give you several options when it comes to restoring the appearance and function of your teeth. One of those options is fixed bridge. A fixed bridge is, quite literally, a method of “bridging” the gap created by a missing tooth or by a couple of missing teeth. 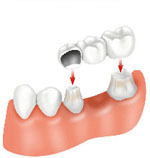 The bridge consists of two crowns for the teeth on either side of missing tooth or teeth. These two teeth act as an anchor by holding in place the false tooth or teeth (called pontics) between them. Fixed dental bridges are just that, fixed. Once completed, it is a non-removable appliance. How Dr. de Cardenas performs your procedure in his Miami office will depend on the type of bridge (there are several) that best fits your particular circumstance and aesthetic goals. 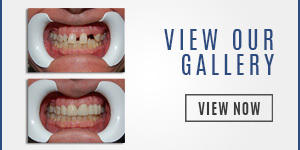 You can achieve several positive results by having Dr. de Cardenas put in a fixed bridge. Dr. de Cardenas’ fixed bridge patients report improved and pain-free chewing, enhanced enunciation, and perhaps most rewarding, an improved smile and appearance. dentist, your permanent bridge will be adjusted for proper fit and cemented. Our dentist will carefully go over the type of oral care you will need following this procedure. 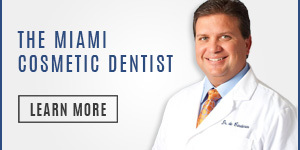 Are you looking to have a fixed bridge or a Dental Cosmetic Surgery in Cutler Bay? Contact us using our convenient email form and we’ll get right back to you, or simply call us at (305) 251.3334. 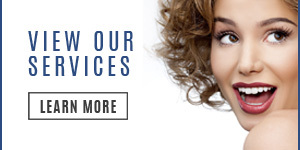 Talk to Dr. de Cardenas and see whether your in need of a dental cosmetic procedure. Visit Dr. de Cardenas today and experience the difference between being treated as a patient, and being a treated as a part of the family.